The tree-lined meandering road leading into the heart of Nazareth School offers parents a snapshot of the safe environment where children have come to grow and learn for nearly a century. Conveniently located in the center of San Diego’s busy Mission Valley, the quiet is surreal, nurturing body and spirit. White adobe buildings with terra cotta tiled roofs dot acres of greenery. Outside the quiet halls of learning, children are encouraged to pick a sport of choice and play on acres of grassy softball and soccer fields. Newly resurfaced courts beckon those who prefer a game of basketball, volleyball or tennis. There is more than one hopscotch challenge for the younger children drawn outside and a gallery of play toys, swings and monkey bars. Nazareth School serves students from preschool through eighth grade. The Nazareth School community has created the perfect learning environment to prepare the student of today for the leadership challenges of tomorrow. In addition to its large classroom spaces, the campus boasts of a computer lab, science lab, a library, a multi-purpose auditorium, extensive green playing fields, and an entry courtyard to create a physical heart of our community that is dynamic and welcoming. 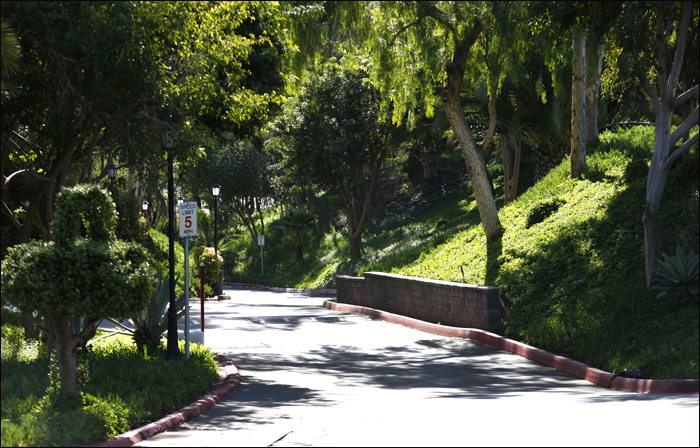 If you would like a personal tour of our campus, please call the school office for an appointment at 619 641-7987. We would be delighted to show you our beautiful campus upon appointment.